Its 2017! We are rapidly moving into an era of technological rebellion where industry demands are outstripping major code releases. There is an explosion in the marriage between cognitive science and computer science that may humble us all. In an industry that's moving fast, shouldn't we have already solved issues of diversity in programming culture? Why are we still talking about 'Women in Tech'? How can we encourage more girls and women to participate in the Tech industry? Join us for this panel discussion about barriers facing women in the technology industry especially in North Africa. What are the potential initiatives to address gender balance, and Why role models are important to inspire more girls to enter the world of technology. Zane leads the Developer Circles programme from Facebook in Europe, Middle East and Africa. Developer Circles is a programme designed to create locally organized communities for software developers. These communities are meant to educate and provide a forum for discussion and knowledge sharing around topics that are top-of-mind for developers in a particular market. Zane has over a decade-long experience in leading marketing roles covering Europe, Middle East and Africa from large multi-nationals including KPMG, Aon and other. Ms. Dounia Boumehdi serves as Managing Director at MITC Capital. She joined the firm in January 2011 as Investment Manager. Previously, Ms. Boumehdi worked at CDG Capital Private Equity from 2002 as an Investment Manager for three years, then as a Senior Investment Manager for four years. Ms. Boumehdi holds an Executive Master in Project Management from École des Mines Paris and a Degree from ISG Paris. 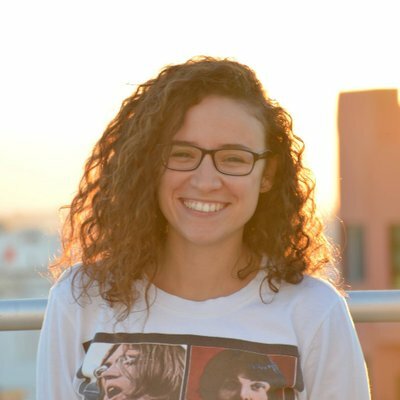 A social entrepreneur and a tech lover, I'm the co-founder of Young Tunisian Coder Academy, an organization that aims to develop coding skills within Tunisian kids. She is also the Facebook Developer Circle lead in Tunisia, a new and growing initiative by Facebook. Meanwhile, she is a software engineer in Infor/Predictix Tunisia. Samia is an innovation and customer experience expert and a certified project management professional. She is the president of Women Engineers Club and 2017 Techwomen Fellow. Samia is also volunteering as as mentor in several national and international initiatives in STEM education.